As a catch up for all new visitors to Beyond the Bunker, we’ll be representing the original Practitioners series 1-55 (Simon Bisley – Chris Bachalo and featuring the most influential comic creatives in history). Thoroughly incomplete but featuring legends like Stan Lee, Jack Kirby, Frank Miller and Alan Moore already more will be hitting the site next year. For now though, sit back every Tuesday for a run-down of the men and women who created the comic industry we know today. (Or check the full list in the menus above). 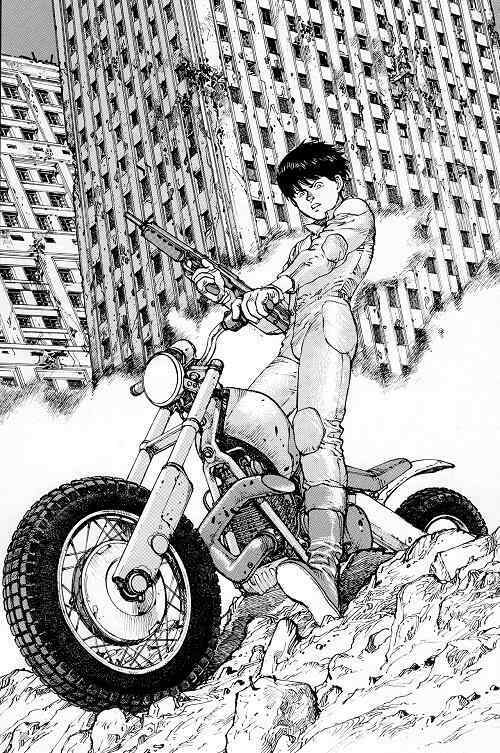 This week: Akira creator Katsuhiro Otomo. At the top of each book sold of Akira there rests a very impressive name in bold lettering. Katsuhiro Otomo. The 2000 page epic would not exist without his genius. Personifying his countries often distant ideals of constant devotion to practice, work and perfection towards a focussed life goal, Otomo marched onwards to completing his masterwork even as he was unaware that he was developing it. Born in Miyagi prefecture, Japan in 1954, Otomo left school in 1971 to become a Manga artist and succeeded quickly – unsurprising given his unswerving diligence in perfectly measured linework coupled with highly detailed yet crystal clear characterisations. He worked for ‘Action’ magazine until 1979 diligently putting out work on behalf of others. With the release of solo projects (most notably Fireball (1979) and Domu: A Child’s Dream (1980)) he revealed himself to be a true auteur, a position that can only be occupied when you have mastered all aspects of a medium and his body of work illustrates this perfectly. Katsuhiro is the epitomy of the short gap between an artist’s hand and mind when fully utilised. Fireball was uncompleted but is considered a milestone as it carries themes that were carried forward into his later work. Domu: A Child’s Dream saw a battle between a senile psychic bent on secretly murdering residents of his apartment building for pleasure with his powers and a young girl, Etsoku who stands defiantly against him with her own battery of powers. 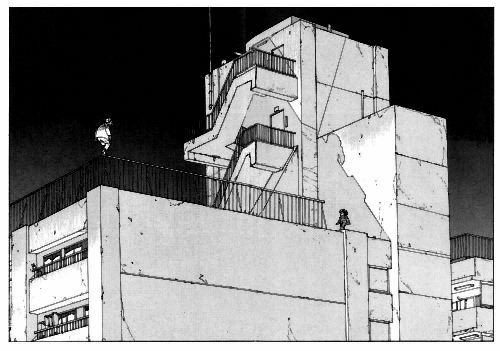 Its difficult to imagine Katushiro Otomo as anything other than a genius. Writer, artist, draftsman, director, and unself-conciously and perhaps unexpectedly global cultural avatar. His work, one most specifically, speaks for him more than many other creative practitioner in the field as there is little that can be gleaned as to his character from it because his understanding of so many elements is so diffuse and wide reaching. His writing blends perfectly the spiritual, the cultural, the subtle and the brutal. 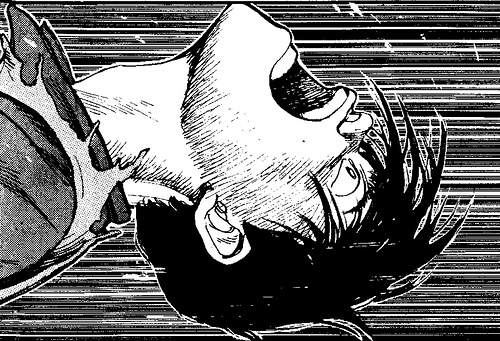 Any flaw visible in any work he has done before or since is overshadowed by Akira. Around bikers Kaneda and Tetsuo the world spins, never leaving the confines of the Neo Tokyo city limits in 2000 pages, as bikes blaze through neon streets, psychic children fight over broken buildings, people burst up walls and a general with a mohawk struggles to get an orbiting defence platform with a massive laser to explode a giant bug baby. Tower blocks rise through panels with thousands of windows each as perfectly proportional as the last, even when they are upside down and falling into the sky. Broad themes of creationism rest perfectly next to action sequences involving tanks driven by amateurs through cluttered streets in Tokyo’s districts. Never has an artist been so adept at slapstick octane and subtle broad ideas, occasionally in the same panel. Using his love of film as a benchmark for his artwork and his stripped down storytelling style, Anime was always a natural advance for Katsuhiro and he was working as a character designer for Anime Harmageddon one year before the beginning of his epic; Akira began. 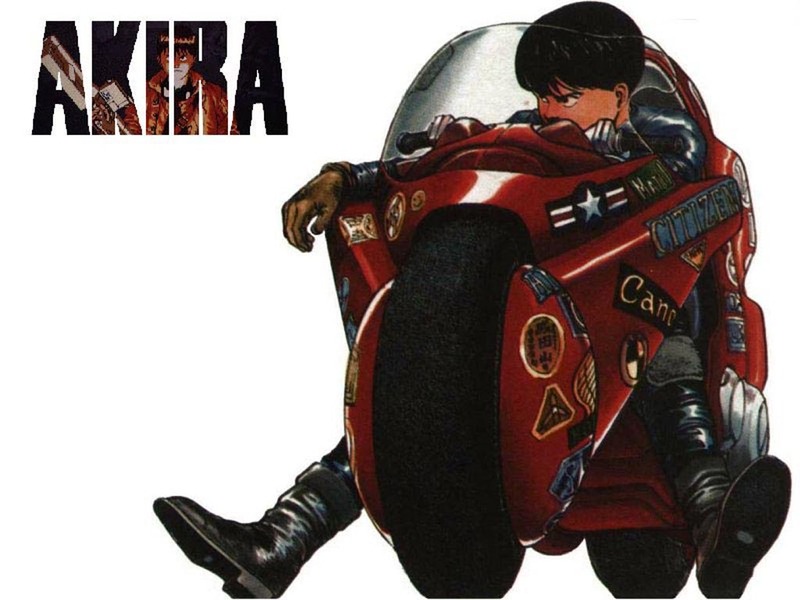 Helming Akira as an Anime in 1988, begun while the book was still incomplete, and creating one of the most (if not the most) far reaching Anime ever created and forever altering the standard to which western comic books are now held to. A master who took a boyhood dream and worked diligently to see it happen, standing head and shoulders above an already advanced and crowded medium in the country that had long since mastered the form.